Happy Thanksgiving, friends! It’s my favorite food holiday and a wonderful time to reflect on what matters most and what we value and appreciate. I have a lot to be thankful for, including all of YOU who have been SO supportive of me and my continued work on this blogging adventure. I am SUPER excited to spend most of the day in the kitchen Thursday preparing yummy and nourishing food for my family. I love them and want them to be well! I love how colorful the Thanksgiving plate can be, how amazing our house smells as everything is cooking and all of the flavors are coming together, and taking the time to reflect on what matters most to me. Here are a few of the recipes I’ve shared on the blog before (and some I haven’t!) that would be perfect for your Thanksgiving dinner 🙂 Just as a little reminder, all of these recipes are dairy-free and gluten-free, so just about anyone can enjoy them! People often ask where I look for recipes when I’m trying to come up with ideas. 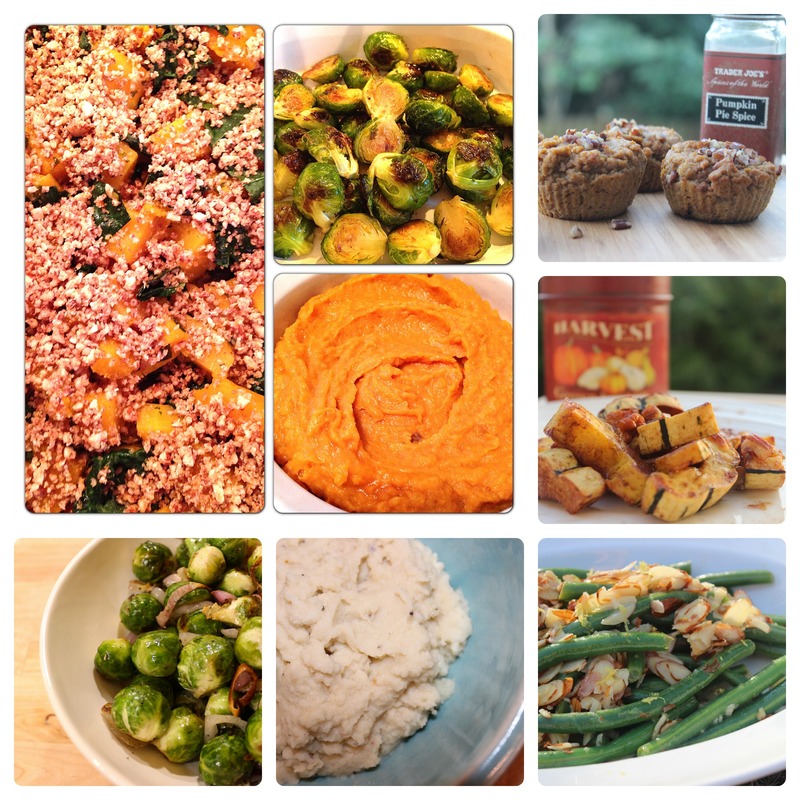 Here are a few of the blogs I will be getting inspirations from this Thanksgiving. Check out the recipes and let me know if you end up trying out any of them! I love so many of her recipes and try out at least one of them every couple of weeks. I’m excited to try out her Clean Green Bean Casserole (cut back on the sodium – it’s a LOT! ), No-Bake Pumpkin Pie Tarts, and Grain-Free Stuffing, but she highlights a full list of 10 of her favorites here, so be sure to check it out! 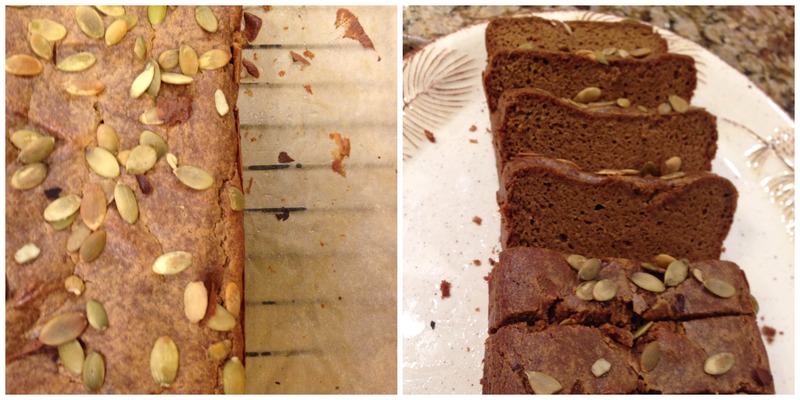 I made a recipe for a dense, moist (everyone’s favorite word, right??) pumpkin bread that I saw blogger and author, Danielle Walker, post on Facebook and brought it to my church for our annual Thanksgiving dinner tonight. SO worth it! Not only that, but Danielle is offering a completely grain-free Thanksgiving recipe ebook for sale on her website for less than $5! Many people who have digestive challenges feel better when they at least temporarily eliminate grains from their diet. What caught my eye was this mouth-watering picture of an Apple Cider & Herb Brined Turkey. This Wild Rice Stuffing recipe with apples, cranberries, and sage looks (and sound tasty), too, so I may try it! I also happen to think the two Nourishing Meals cookbooks are FANTASTIC, and I highly recommend them. I’ve been following Dana’s work on Instagram for the past few years and have gotten to meet her in person at the Natural Products Expo East several times. She focuses on paleo recipes (no beans, grains, dairy, refined sugar or processed foods), and she is fun and funny, too. If you’re not already following her on instagram, you can do that here. In this post, she shares over 50 paleo-friendly, mouthwatering Thanksgiving recipes that you will definitely want to check out to upgrade your menu. I love the playful vibe of this blog and appreciate how simple and fun their approach is. Their Roasted Garlic Autumn Root Vegetable Mash, Brussels Sprouts Chips (um, yes, please!!) and Cran-Cherry Sauce are all on my list of menu possibilities. Angela posts amazing recipes (and beautiful photos). I made my own version of a sweet potato casserole tonight but think this one looks pretty awesome, too! This Gooey Pumpkin Spice Latte Chocolate Pudding Cake sounds as incredible as the pictures look and may be worth trying. For whatever reason, I’ve never been a fan of gravy, but I know it’s most people’s favorite thing about the meal, so here is a recipe for a gluten-free gravy and another for a vegan mushroom gravy recipe to check out! Both have good reviews. Bon Appetit also wrote a simple post about how to make gluten-free gravy, and you can check it out here. Zucchini Pasta with Cauli-fredo Sauce! This is awesome, all these great recipes in one post. Thanks! BTW, your nephew is adorable!! Kayla, I’m glad you find it so helpful! You are always so kind and thoughtful to leave comments. I really appreciate it! Thanks for what you said about my nephew, too. He is such a cutie pie…and has a sister on the way in February! I hope you have a wonderful Thanksgiving. Let me know if you end up trying any of the recipes! I love thanksgiving too! Oh these recipes look delicious, especially the brussels sprouts with cranberries and pecans Yum! I think I am going to give it a go for tomorrow.Thanks for sharing,and happy thanksgiving to you and your family. Thanks for commenting, Astrid! I appreciate it 🙂 I hope you have a wonderful Thanksgiving as well! Let me know how the Brussels sprouts recipe turns out for you!